Paul Nelson is a philosopher of biology who has been involved in the intelligent design debate internationally for over two decades. His grandfather, Byron C. Nelson (1894–1972), a theologian and author, was an influential mid-20th century dissenter from Darwinian evolution. After receiving his B.A. in philosophy with a minor in evolutionary biology from the University of Pittsburgh, Nelson entered the University of Chicago, where he received his Ph.D. (1998) in the philosophy of biology and evolutionary theory. He is currently a Fellow of the Discovery Institute and Adjunct Professor in the Master of Arts Program in Science & Religion at Biola University. An early associate of Professor Phillip Johnson of UC-Berkeley, author of the bestselling critique Darwin on Trial, Nelson was an organizer of the Mere Creation conference (1996), where the modern intelligent design research community first formed. Nelson’s research interests include the relationship between developmental biology and our knowledge of the history of life, the theory of intelligent design, and the interaction of science and theology. He lectures frequently at colleges and universities throughout the United States and Europe, has spoken on American and Italian national public radio, and written for mass media publications as varied as the Oslo Dagbladet and the Christian Research Journal. 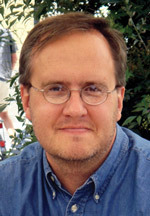 Nelson’s scholarly articles have appeared in journals such as Biology & Philosophy, Zygon, Rhetoric and Public Affairs, and Touchstone, and book chapters in the anthologies Mere Creation (Intervarsity Press), Signs of Intelligence (Brazos), Intelligent Design Creationism and Its Critics (MIT Press), and Darwin, Design, and Public Education (Michigan State University Press). His forthcoming monograph, On Common Descent, critically evaluates the theory of common descent. He is a member of the Society for Developmental Biology (SDB) and the International Society for the History, Philosophy.